What are the Similarities and Differences in Mormon Doctrine vs. Other Christians? As well as several other points of Doctrine. So what are the DIFFERENCES between Mormon Doctrine, and Other Christians. "The Church of Jesus Christ of Latter-day Saints is Christian but is neither Catholic nor Protestant. Rather, it is a restoration of the original church established by Jesus Christ." Unlike Catholic, Orthodox and Protestant Christianity, Mormonism does not include belief in the Trinity, in which the one God consists of three persons. Instead, Mormons believe that the "Godhead" is made up of three distinct beings who are "one in purpose" but not in being. Faith is more than Belief. Faith is an Action word. If we have true Faith in Jesus Christ it will lead us to take Action to live His gospel. Members of The Church of Jesus Christ of Latter-day Saints, or Mormons, also Believe in an open Canon. Whereas most of the Christian world believes that the Bible, and the Bible alone, contains God's word, Mormons believe the the Book of Mormon is also an ancient text of Scripture. We also believe in a Modern Prophet, just as was had among the Jews from Moses until Christ. They 'added' scripture all the time as the spake Prophecy and gave instruction to those who were alive at the time. These ancient Prophets never taught contrary to their predecessors. We DO NOT add to the Bible, we have separate books of Scripture that give further Light and Knowledge about Christ and His Church. Therefore all scripture should have ended with Deuteronomy 4:2 under this understanding, which is clearly not the way of God. Most Christians believe in Heaven or Hell and that's it. We believe that the common understanding of Heaven and Hell is not accurate. Mormons believe that the Plan of Salvation answers the questions of Where did I come from, Why am I here, and Where am I going? So Where DID we come from? The same was in the beginning with God." We lived with God before we were born into mortality. We learned the Gospel and chose to come here to Earth and gain a body so that we might become more like our Heavenly Father. We also understood that we would not remember anything from before when we were born, causing us to live by Faith. "And he answering said, Thou shalt love the Lord thy God with all thy heart, and with all thy soul, and with all thy strength, and with all thy mind; and thy neighbour as thyself." This life is a probationary state. We are to Keep the Commandments of God, which includes having Faith in Jesus Christ, Repenting of our Sins, being Baptized by someone holding the proper Priesthood Authority from God, Receiving the Gift of the Holy Ghost, and Enduring to the End of our life. "Be wise in the days of your probation; strip yourselves of all uncleanness; ask not, that ye may consume it on your lusts, but ask with a firmness unshaken, that ye will yield to no temptation, but that ye will serve the true and living God." Many say that you only need to declare Jesus as your Savior, this however means He doesn't require anything from us be to speak the word once. Why then did He say to 'Keep My Commandments'? "And it came to pass that when Jesus had ended these sayings he said unto his disciples: Enter ye in at the strait gate; for strait is the gate, and narrow is the way that leads to life, and few there be that find it; but wide is the gate, and broad the way which leads to death, and many there be that travel therein, until the night cometh, wherein no man can work." Most Christians believe that when we die we go to either Heaven or Hell. This is not exactly right. Mormons believe that when we die our body goes to the grave, but our Spirit goes to what is called the Spirit World. 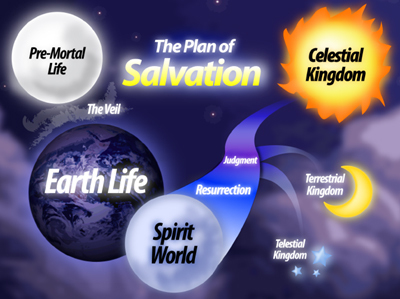 The Spirit world has two divisions, being Spirit Paradise, and Spirit Prison. This Prison could be considered a Hell. However this perspective explains why Christ told the Thief on the Cross that he would see Him that day in Paradise. It also explains why the Gospel was Preached to those who already had their time on Earth. By which also he went and preached unto the spirits in prison;"
This is where Catholicism gets the idea of Purgatory. However the idea of praying for those who have passed on is not correct. We here on the Earth cannot simply Pray for those who have died and have their sins be 'purged'. The Bible does however declare what is to be done about those who have died without the Gospel of Christ. Mormons also believe that After Resurrection and Judgement, which come after the Spirit world, that there will be several 'Heavens'. "I knew a man in Christ above fourteen years ago, (whether in the body, I cannot tell; or whether out of the body, I cannot tell: God knoweth;) such an one caught up to the third heaven." "There are also celestial bodies, and bodies terrestrial: but the glory of the celestial is one, and the glory of the terrestrial is another. There is one glory of the sun, and another glory of the moon, and another glory of the stars: for one star differeth from another star in glory." This is to show that God will have mercy on everyone, but to those who have kept His commandments He will give the greater blessing. Only those who have a complete knowledge of truth, and then Turn against it and deny the Gospel of Christ will be condemned to Outer Darkness. "Wherefore I say unto you, All manner of sin and blasphemy shall be forgiven unto men: but the blasphemy against the Holy Ghost shall not be forgiven unto men." This picture depicts everything except Outer Darkness. With an Open Canon and a Modern Prophet, many things which have not been understood in the past have been clarified. Every six months we hear the words of a Prophet, General Conference is the first weekend on April and October. There are few differences of Doctrine, and those that try to point out flaws in Scripture have not read the Book of Mormon with Honesty in their Heart. "Beware of false prophets, which come to you in sheep’s clothing, but inwardly they are ravening wolves." Why should we Beware of False Prophets, if there will not be any more True Prophets? I know for myself, by the Power of God, that Thomas S. Monson is a Prophet on the Earth today. He speaks with God like a friend. He then declares God's word and His will to all people of the Earth. Seek ye Truth, and ye shall find that I LIE NOT. How to 'Unlearn, what You have Learned'. I want to be a U.S. Marshal. This means I have a very firm mindset. I know exactly what I need to do and then I do it. It leaves very little room for error, and I often tell others what bothers me. In order to do what I want, I must first become who I want to be. Unlearning a way of thinking is often very difficult, possibly the most difficult thing anyone would ever do. With something that is hard physically, you simply go work out and build up strength until you can accomplish the task. But when your obstacle is Mental you must be able to break it down, and yet not remove the wall. I have wondered . 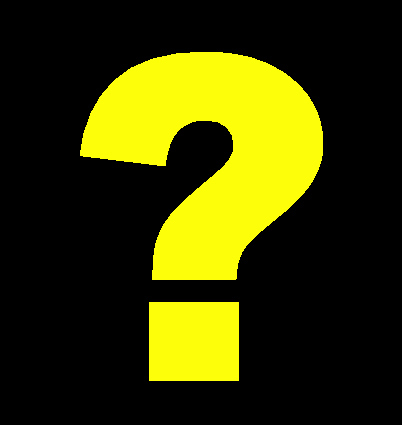 . . How is it possible to build a Blue wall in the place of a Black wall without removing the Black wall? Then a good friend helped me to see that the wall doesn't have to be all one color. Both colors can be part of the wall. So all I have to do is figure out which bricks need replaced from the Black, and then remove it and insert a Blue brick. there was a mighty change wrought in his heart. Behold I say unto you that this is all true." Knowing what to do is only the beginning, the actually doing it takes time and effort to change not only the way you act, but also the way you think. Rethinking things and changing your mind is usually not all that difficult, but having a permanent change in how you see things is often a very hard struggle. I would ask, can ye feel so now?" I have one year left on my Mission for The Church of Jesus Christ of Latter-day Saints. In that time I hope to assimilate all the Blue bricks I need to in order to make my wall balanced as it should be. Have ye experienced this mighty change in your hearts?" but we will change them into cedars." When we die, our bodies go into the Ground, but our Spirit lives on and goes to the Spirit World. Meg's body is still outside against a rock, but Hercules comes to the Underworld to retrieve Meg's Spirit from the grasp of Hades. Jesus Christ also came to make the 'Resurrection' possible. He is the 'First Fruits of them that Slept'. Because of the Resurrection of Christ we shall all be Resurrected. Hercules (the Son of Zeus) was willing to give up everything, even his own life, to save Meg. Christ (the Son of God) was willing to give up everything, even His own life, to save us all. 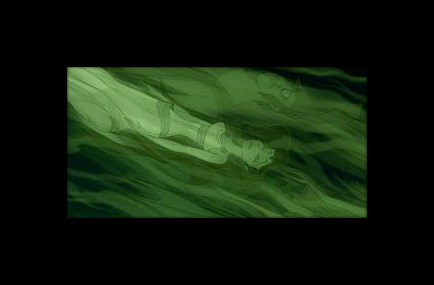 After having reunited Meg's Spirit with her Body, the two of them are 'called up' to mount Olympus. During the Millennium, After the Second Coming of Christ, the Resurrection will take place, and After the Resurrection we will all be 'called up' to be Judged before God. 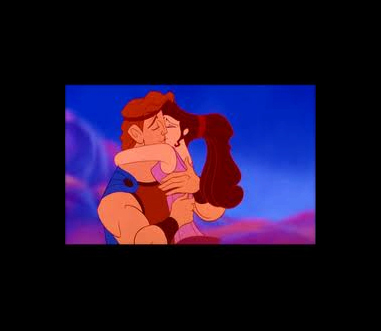 Only when he is with Meg is Hercules Happy. 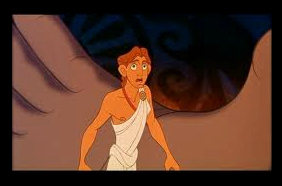 Even if he had stayed at Olympus, Hercules would not have been a God. Only because of Meg had he learned where he belonged, and it was wherever Meg was. We often refer to our Spouses as our 'Better Half'. Then why should that 'Better Half' of us be separated from us in the Eternities? See 1 Corinthians 15 for more information. 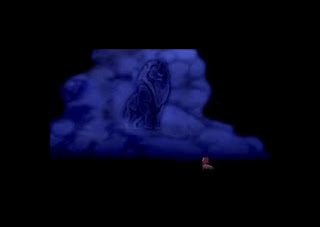 Simba had forgotten who he was. 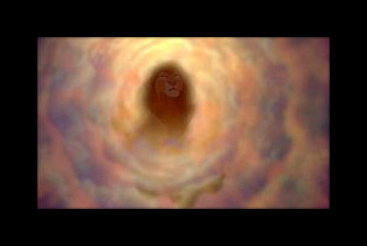 He was the Son of Mufasa, and rightful Heir to the Kingdom of his Father. that we may be also glorified together." How then do we "suffer with him"? Do we have to have our own Garden of Gethsemane, or Die on a Cross? No. We must however go through the pains of Spirit, and learn to Feel as He Felt. To have Godly Sorrow for both our Sins, and the trials of those around us. If you have forgotten who YOU are, YOU have forgotten the FATHER. "Furthermore we have had fathers of our flesh which corrected us, and we gave them reverence: shall we not much rather be in subjection unto the Father of spirits, and live?" REMEMBER what we are supposed to be doing. When our Reflection shows our Love for the Savior, and our Internal desire for good, then we are true Disciples of Christ. We dont have to be perfect, but we do need to do our best. I myself will not be a Perfect Son or Husband, but I am sure going to do the best that I can. Sometimes we feel that we are not 'meant to play this part'. However, God has designed the Universe and EVERYTHING in it. Including us. As I have a moment of Reflection on my last two years as a missionary, I know that there were days that I didn't feel like I was adequate enough to 'play the part'. I also hate the phrase, 'fake it til you make it'. So I have probably not done the best that I could have, but the best the I felt I was able. Often it takes the view of others to really let us know what we are truly Capable of. I know that I have become a better person from sharing the Restored Gospel these last two years. Do you ever wonder who it is in the Mirror? Is your Reflection someone you 'Don't know'? Sometimes we do things that make us feel bad afterwards, and then we get all frustrated inside. This is the Devil tempting us, and saying that we are Worthless. We are not worthless, because we are literally Children of our Heavenly Father. When will our Reflection Show, Who WE ARE Inside? When we have received His image in our countenance, Our Reflection will show who we are inside. Many people say that 'True beauty is only found in the Heart'. God is the Best Friend I have EVER had. Genie has lots of abilities. 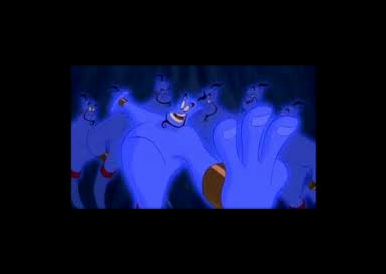 He grants three wishes to every master. However he can't make anyone fall in love. He can't kill anybody, and he either can't or won't bring people back from the dead. Seems pretty limited to me. God has no limitations, and He grants more than three wishes, to Everyone. We simply have to go to Him in Prayer, and ask in Faith. So make God your Best Friend, and counsel with Him in all that you Do. He might say no sometimes, but it is for your own good. He always does whatever is best for us. and he will direct thee for good;"
Some people see Humility as 'childish', 'weak', or 'Dependent' on others. True Humility is not exalting yourself above others, and Submitting to God's will. Beast was Submissive, and not swift to anger. 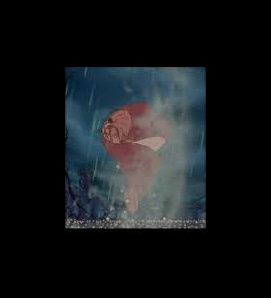 Even after Bell came back, he only told Gaston to get out, and did not throw him of the ledge. 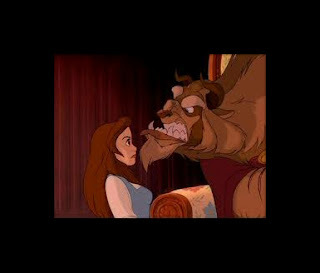 Throughout the movie Beast is trying to calm his temper and have Bell fall in Love with him. He is concerned that the Flower will lose all of its petals before she does, which would result in him staying in Beast-form forever. As Beast is being transformed his RED Cloak wraps around him, much as we need the Power of Christ to completely envelope us so that we might have this transformation take place in our hearts. One of the missionaries that I have had a chance to serve with once spoke of the Change wrought upon Cucumbers when they are made into pickles. He stated that we should become 'Celestial Pickles'. You see when a Cucumber (which is totally gross and nasty by the way), is made into a Pickle (which is AWESOME), it must be completely submerged in a Salt Brine (Also totally gross and nasty). This is the only time, to the best of my knowledge, that two negatives make a positive outside of math. The Salt Brine represents Trials we go through in Life. If we choose to only partially go through them we will not become a 'Celestial Pickle'. However, if we Humble ourselves and are Submissive to the Lord's Will, then we will have His help in everything we do, and He will make us into whatever kind of Pickle He knows we need to be. As we go through this transformation, others will be able to see the Light of Christ shine through us. 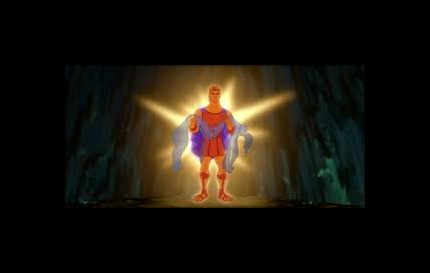 Much as the Light that comes from Beast's Hands, Feet, and Heart. This is an AWESOME representation of how the Light of Christ not only changes our Heart, but cause our Actions (Hands and Feet) to be changed as well. 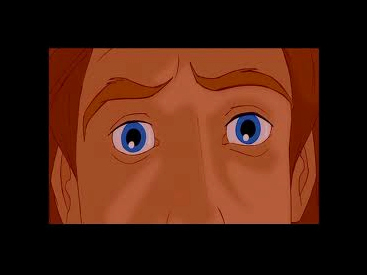 It has been said that "the Eyes are the Window to the Soul." After Beast has been transformed he says, "Bell, it's me." She is a little unsure of him, even having seen the Transformation take place, until she looks into his Deep Blue Eyes. This is something that she Recognizes, and she immediately says, "It IS you." How are we going to Recognize the Savior when He comes again? Sure there will be Miracles all around us, and everyone will know it is Jesus Christ. But how shall we KNOW that He is our Savior? I believe we shall know Him if we have BECOME like Him. Yes, we shall all live 'Happily Ever After', IF we keep the Commandments and Follow the Lord's Prophets. What does it take for the Devil to find you?? 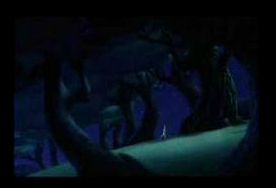 In the 'Dark of the Night', your guard is lowered and then you DIE!!! Spiritual Death is much more frightening to me than Physical Death. Spiritual Death includes, but is not limited to, Separation from God, not Feeling the Spirit, and Ignorance of the Gospel. Satan is probably everyone's worst nightmare. He is not a 'corpse falling to bits', but he is rather creepy. I prefer not to talk about him much, as it is better to focus on our Savior, Jesus Christ, but occasionally we need to address who we fight against. Rasputin claims that "[he] was once the most mystical man in all Russia", and that "when the Royals betrayed [him] they made a mistake." However, as Rasputin is the villain, or 'Devils Character', and represents Satan, doesn't that mean he betrayed them? I will exalt my throne above the stars of God:"
God's firstborn Son is Christ, who is King of Kings. These may be considered the 'Royals'. Satan who was a 'Son of the Morning' (Isaiah 14:12) sought to be higher than God. In this he turned against God in open Rebellion. Then he and those who willing chose to follow him were cast out. 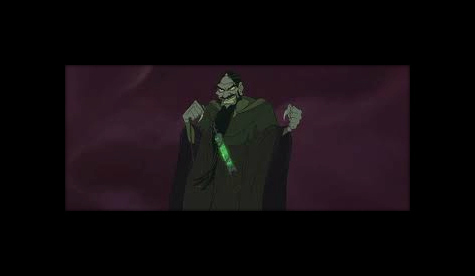 Rasputin states that Terror is the 'Least he can Do'. Satan is there to terrify us so that we feel incapable of approaching God and asking for forgiveness. The least he will do is try to make us afraid of what might happen if we do accept the Gospel. However Fear is in direct opposition to Faith, which is taught by Christ. Through Faith we can know that even if those around us don't approve of our actions and choices, at least God does. "Here is a Sign, It's the End of the Line"
Can Satan really give 'Signs'? Yes, but through Prayer we may detect those who are Sent from God, and those who are not. that do uphold his work." "Pray Always", so that you will not be taken captive by the Devil 'In the Dark of the Night'. Have you ever felt that you just can't do anything right? 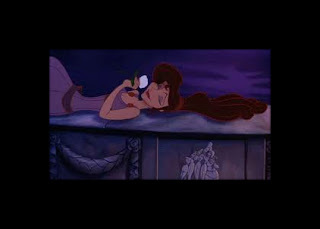 Well, Meg felt like she couldn't ever make a right choice too. However, that is why we have the Atonement of Christ. Even when we make wrong choices, we have the oppurtunity to repent and have our Sins forgiven. 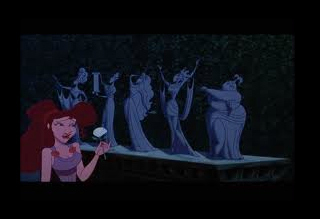 Now you see, the Muses(the statues) can see that Hercules is "the Earth and Heaven" and take all their time to convince Meg that she needs to accept him and be with him. One of Meg's arguments is that it is "Too Cliche". Some people say that they don't believe in the Scriptures because they are just the Cliche old tales of 'good versus evil'. Why would the Gospel not be cliche? The Gospel is unchanging and has been around since before Time began. Some people think that Christians need to "get a grip". However there is no need to "Cry Your Heart Out" when you live the Gospel. Christ has already performed the Atonement, which is a Vicarious Ordinance allowing Him to take upon Himself all of Our Sin, Pain, Sorrow, and Weaknesses. pains and the sicknesses of his people. Many of those who reject the Gospel have felt the Joy that comes from it, but they don't want to have to 'Keep the Commandments', so they just deny the whole thing. How can we be "way off base" if the Foundation is Christ? Is He not Big enough, or Strong enough, or Smart enough, to hold all of us the way we should be? Finally we have those who accept the Gospel, but "At least OUT LOUD, [they] won't say [they're] in love". If we truly Love the Savior, we should do everything we can to receive Personal Revelation from Him every day. We should also Search for others who we can share the Gospel with. Hercules wanted to feel like he 'belonged' somewhere. His heart told him that he was more than just the son of a farmer. He knew that when he found his place he would be 'great' or 'awesome' or 'radical'. But even having this in his heart he still didn't know what to do about it. "I will find my way, I can go the distance. I'll be there some day, if I can be strong. I know every mile, will be worth my while." How do we find our way in this Troubled World? How Far do we really have to go? Heavenly Father has given us the Prophets, both Ancient and Modern, to guide and direct us in His Ways. We don't have to go very far if we don't want to, we just have to LIVE the Gospel anywhere we are. We are not perfect at this, but through the Atonement of Christ we will 'be there someday', if we 'can be strong' and LIVE the Commandments. Every mile WILL be worth our while, but if we don't put any effort into it then there will be no reward to look forward to. Start reading the Bible and Book of Mormon everyday? Show more Kindness to others? Volunteer your Time in the Service of others? I have a Utility Belt!" "Do our Duty; that is best; leave unto the Lord the rest." La Conversion: Que es su historia?